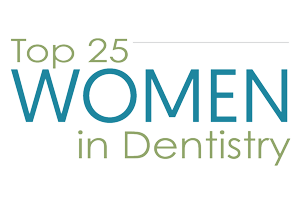 Sheri Kay is a published author, compelling storyteller, and was voted one of the Top 25 Women in Dentistry by Dental Products Report magazine in 2011. As a speaker, gifted facilitator, and dental practice coach, Sheri brings passion and joyful energy to her work every day. You will find her enthusiasm to be contagious, and her dedication to the success of others remarkable. In addition to working full time in the dental field, Sheri is also a volunteer for the American Cancer Society, and enjoys traveling to help provide dental care to those with little or no access to care. If you are looking for a sweet combination of creative learning, a high level of engagement and great deal of heart, Sheri is your very best choice. She will take you from laughter to tears (and everything in between) as she shares her years of experience in ways that will keep you interested, inspired, and wanting to hear more. You will walk away with specific and tangible tools that can be applied on Monday morning as well as developed and implemented over time. Please note: Whether your group is large or small, Sheri is happy to customize a program to meet your needs and exceed your expectations.